Note: this feature is available in Pro, Expert and Enterprise plans. 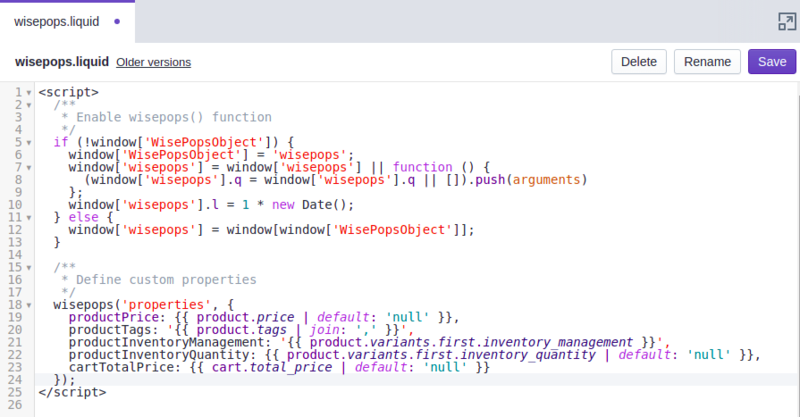 First of all, enable the wisepops() function on your shop by following this article. Step 1: Open your popup in the editor. Step 2: Click "Display" and select "Custom properties"
Step 3: Click "Add more rules"
Step 4: input cartTotalPrice in the condition field, select "Less than" and input your condition. Visit Shopify website to get the full list of Liquid variables. And feel free to contact us if you need help with the setup.